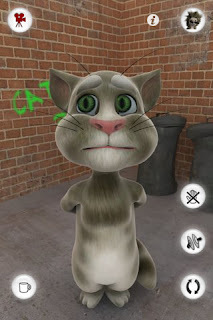 Talking Tom Cat. 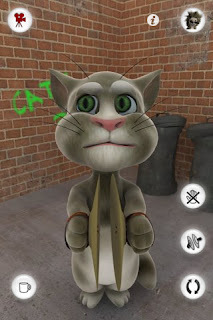 You can pet him, poke him, you can even grab his tail and even talk with him, he will repeat anything you will say to him. 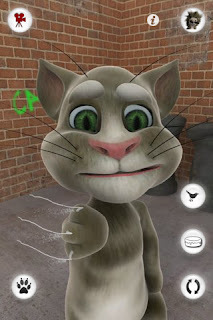 Enjoy hours of fun and laughter with Talking Tom Cat. 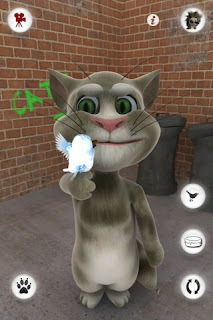 He is especially fun for children of all ages.